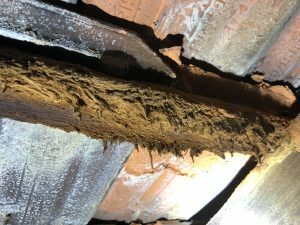 An older home with roof tiles will often be affected by chemical delignification in the tile battens. The small gaps between the roof tiles allow moisture from external air to come into contact with the tile battens. Delignification means: The removal of ‘lignin’ from woody tissue. Lignin is a polymer which binds the cells of the timber together and maintains rigidity. Therefore, the batten starts to lose its strength as this chemical breakdown occurs over time. 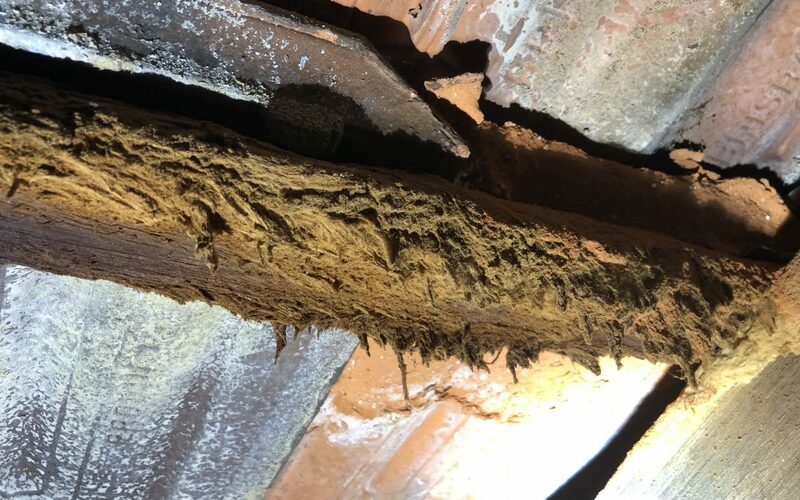 I have personally observed that being close to a main road increases the likelihood of this occurring as pollution is a contributing factor to the degradation of the battens. As well as being smaller and therefore having a higher surface area to size ratio, the tile battens are the closest internal roofing element to outside air. So, these are generally the first to be affected, though it can spread onto rafters and other adjacent roof members over time. 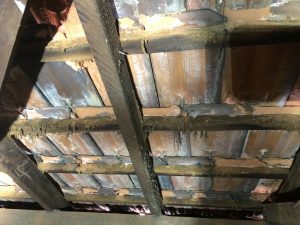 As the tile battens are structurally supporting the weight of the roof tiles (60kg/m2) I will refer to this as a structural defect. If the damage is greater than approximately 40% of the battens I will refer to this as ‘significant’ or ‘major’. 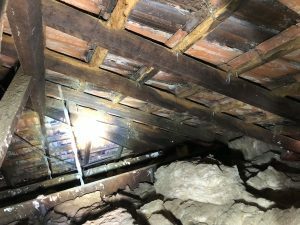 A replacement roof can cost upwards of 20-30k, so this is an important defect to discover when purchasing an older home. 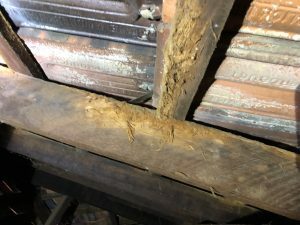 On this basis alone I recommend buyers engage Prompt Building Inspections to carry out at least a ‘Structural Inspection’ on older homes. Book Prompt Building Inspections WA the quick and easy way by filling out our simple online booking form.